As one of the largest of the 12 Connecticut community colleges, all of which are part of the state system of community-technical colleges, Manchester Community College strives to continuously set and raise the expectations of a community college education. Manchester Community College advances academic, economic, civic, personal and cultural growth by providing comprehensive, innovative and affordable learning opportunities to diverse populations. We are a learning-centered community committed to access, excellence and relevance. Academic excellence, technology-rich classrooms and learning spaces, flexible schedules, small class sizes and low tuition provide a quality education that’s accessible to all who wish to learn. Programs are designed to fit the varying needs of students. Classes are held days, evenings, weekends and online – in both traditional and accelerated formats – and they prepare students for entry into a growing career field or transfer to a baccalaureate institution for further study. Formal agreements with the state’s universities provide ease of transfer and maximize credits awarded. Financial aid is also available, including comprehensive packages of grants, loans, scholarships and work-study opportunities. More than 200 faculty and staff hold leadership roles in their communities – in business associations, civic groups, faith communities and a host of volunteer organizations. Community groups interested in learning more about MCC or any of the disciplines or programs it offers can arrange for a faculty or staff speaker from the college’s active Speakers Bureau. 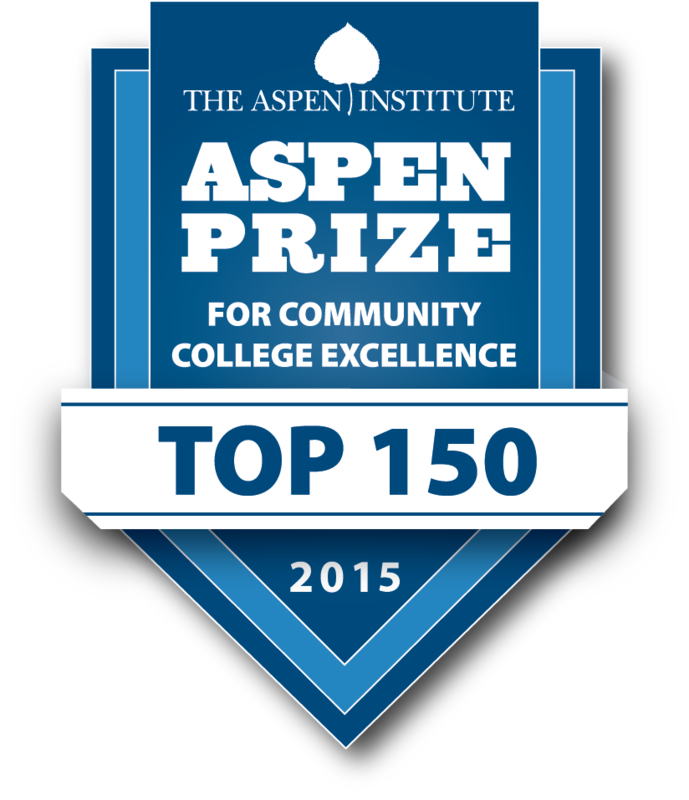 MCC is an Aspen Prize Top 150 U.S. Community College. MCC was recognized as one of the Top 150 National Workplaces for 2013. MCC is a member of the Hartford Consortium for Higher Education. MCC was recognized as one of Connecticut’s Top Workplaces for 2012. MCC demonstrates academic excellence and rigor in its programs and courses, and continually improves the quality of learning, teaching and student support. MCC is a college where all students develop a clearly identified pathway to meet their educational goals. MCC meets the needs of our students and stakeholders by leveraging the collective creativity, experience, and commitment of the college community and our regional partners. MCC is a world-class organization where we intentionally build our capacity for shared leadership, shared understanding, and shared responsibility. The college fosters a culture of innovation, diversity and inclusion. MCC actively protects its assets and continually seeks to develop new resources. The college’s reputation, human resources, physical spaces, capital assets, technology infrastructure, alternative funding sources, and accreditation are all critical components of student success. The college explores and adopts sustainable practices. The liberal arts/general education core is an integral part of every degree program. Through a variety of courses across disciplines, students are exposed to the arts, the humanities, the social sciences, mathematics and the natural sciences. These courses help students to think logically, flexibly, creatively and critically. This common core curriculum provides the opportunity for students to develop skills in written and oral communication, and to gain an awareness and understanding of both the human and natural worlds. MCC also offers programs of a shorter duration that focus on developing and strengthening occupational skills in each area of study, resulting in the awarding of a certificate. The certificate programs range from 6 to 30 credits, and some may be completed in as little as one semester. Through the Continuing Education division, MCC offers a wide variety of credit-free certificate programs that focus on the occupational skills needed to secure employment. Examples include: Certified Nurse Aide, Emergency Medical Technician, Pharmacy Technician, Phlebotomist, Microsoft Office 2007, Oracle Database Administrator, AutoCAD 2011, A+ Essentials, Network+, Precision Machining, Computer Numerical Control (CNC), Real Estate Principles and Practices and much more. Connecticut’s twelve community colleges, four state universities and Charter Oak State College have partnered to offer a low-cost pathway to a bachelor’s degree. Students may start at one of Connecticut’s 12 community colleges, choose a Transfer Ticket career pathway and complete an associate degree; then transfer to Central, Eastern, Southern, Western or Charter Oak and earn a bachelor’s degree, with no loss of credit. MCC graduates are guaranteed admission to the Connecticut State Universities (CSUs). The transfer compact between MCC and the CSUs provides special opportunities for students to complete an associate degree in a program designed for transfer. Incoming students who have fewer than 16 college credits may enroll in the Guaranteed Admissions Program (GAP), a collaborative program with the community colleges and the University of Connecticut, provided they maintain at least a 3.0 grade point average and graduate with an associate degree. The GAP provides MCC students with access to more than 50 majors in the College of Liberal Arts and Sciences, the College of Agriculture and Natural Resources, and the School of Business, offered by the University of Connecticut. MCC graduates have successfully transferred to over 100 public and private universities, in Connecticut and throughout the country. At MCC, the staff and faculty are committed to helping students achieve their educational, personal and career goals by providing essential and comprehensive support services. These services provide opportunities for academic development, assist students with basic college requirements, and serve to motivate students towards the successful completion of their college education. MCC offers a broad spectrum of support services, including counseling, advising, tutoring, transitional programs, and services for international and minority students. It also provides a wide range of service learning opportunities, in which students fulfill their classroom objectives by volunteering in local organizations. Career services and cooperative education internships provide students with the guidance and resources they need to achieve their career goals – both while in school and after graduation. MCC’s Raymond F. Damato Library, located in the Raymond F. Damato Learning Resource Center, holds over 52,000 volumes, has a strong reference collection, subscribes to over 400 periodicals, and has online access to a wide range of databases. The collection is organized to support college programs of study and provide students with additional information and enrichment resources outside of required course work. And, as a member of the Connecticut Library Consortium, the library provides students with access to more than 12 million titles. Participation in activities outside the classroom is an integral part of the college experience, which is why MCC has more than 35 student clubs and organizations, including an award-winning newspaper, The Live Wire; academic honor societies, including Phi Theta Kappa, the international honor society for two-year colleges; business organizations and professional clubs; social groups and cultural organizations; and a vibrant student government. Manchester Community College has an impressive technological environment for classrooms. The college has over 100 intelligent classrooms, with an additional 25 having advanced instructor capabilities; 20 classrooms have full wireless capability, as well. Areas that are particularly technology-rich include: language labs, science labs, network and systems labs, math labs, speech classrooms, respiratory care lab, manufacturing lab, culinary arts kitchens, open computer labs, the library, Culinary Arts Center, GPA Community Commons, and the SBM Charitable Foundation Auditorium. For admissions information, contact the admissions office at 860-512-3210 or plan to attend one of the monthly admissions information sessions. Last updated April 16, 2019 .